A New Year Means A New Start. But Am I Any Good? Until three years ago I was a part-time swim instructor, part-time communication manager, and full-time mother. Then I took an emotional and occupational leap: I began writing about my life and putting it on display. Deciding to crack myself open and spill my tender bits for all to consume wasn’t easy; I’ve always struggled with confidence in my writing. But, like artists of any media, the desire to share always outweighed the anxiety of how my creation might be received. Committing memories and thoughts to keyboard has always gone beyond therapeutic for me; writing is my addiction. If I compose a phrase in a unique way, or place a reader in my world for a moment, to truly feel what I did, it’s an unmatchable high. When I write, I drag up and out. Up come the buried memories, trapped emotions, and concealed insecurities. Out they spew, wringing my soul of toxins, but baring my flaming, raw vulnerability along the way. Nearly all my writing sessions are peppered with pauses to recall exact details. I break my stream of typing and sit, eyes closed, head so low my chin touches my chest. It’s the best position to remember how my 6-year-old feet felt in my snow boots; what I had for dinner the night I delivered my brother-in-law’s eulogy; how my son’s velvety ear felt as I rubbed it between my fingertips. My up-and-outs are the best, and the worst, moments for me because they all come with accompanying emotions. Sometimes I need to stop, unable to see the screen past a blur of tears. Or I may feel the familiar choke of anxiety reaching up through my stomach, grabbing me by the throat. Often, though, it’s a warm, gentle smile that melts across my face as I remember one of the happy moments I’ve stockpiled to make my life so rich. I try to cobble all of it together and form something in which others can draw not just conclusions, but connections between them and what I choose to reveal about my world or myself. I hope for nods of recognition and solidarity. And I’m always willing to risk the negativity that sometimes comes along with divulging my most private thoughts and experiences online. That’s never bothered me. It’s reading pieces after they’ve been published. Recognizing I could have phrased something better, tightened a paragraph, or picked a juicier word that assaults my assurance. When my family moved to D.C. I got away from my up-and-outs and tried a different type venture. Initially all looked great, a match made in the stars. But slowly, over time, those stars began to drift; creating a new constellation that appeared nothing like the original. And with that came new compass points, a new North Star to follow. Perhaps I’m adverse to change; maybe I was never truly part of the map to begin with. But, for whatever reason, I am, once again, starting over and I’m left with more doubts than certainties regarding my value. Questions about worth harass you. They drip, drip, drip their icy reminders on you, tempering the warm, glowing pride you might feel from any accomplishment. That pitch got accepted? It was just luck – drip. You got shares on that piece? They were all from your friends – drip. You’ve been proudly calling yourself a “writer” for three years? You haven’t actually “written” much in almost two of them – drip. How I envy those who truly believe in themselves. How I envy even more those who can fake it and pull it off. I’m capable of neither when it comes to writing, but I want to be. Revealing all of this is risky. It’s scary to put what I’m worried are flaws in me out there for the world to see. My hope, as always, is that someone else might recognize him or herself in this up-and-out. Perhaps feel less alone. I have no idea what will happen in 2017. A year ago I never could’ve predicted I’d be in this scenario today. Ten years ago I never would’ve believed that George would be so close to death, and come back, or that I’d be diagnosed with cancer a couple of years after him. Hell, six months ago I’d have banked on a totally different president. I suppose it’s all up in the air. What I do know is that I now have a clean plate. And with a new year I have a clean slate. I intend to use both to see what comes up and out. I loved The-Manifest Station, long before I ever submitted anything to them for consideration. Imagine my excitement when this piece found its home among the many other beautiful works I’ve read there. I used to worry I might be a one-note writer. Like illness was all I had to dissect and discuss. Lately, I’ve come to shift gears a bit on this. I’m less apologetic about my musings. For as much as I’ve seen and experienced, perhaps this is precisely the role I’m meant to play. 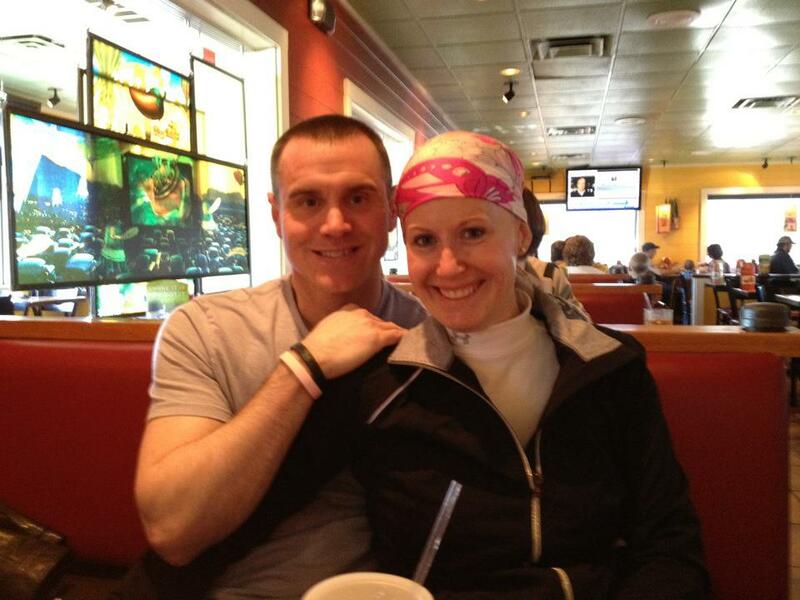 I’ve come to embrace the fact that, for me, cancer is not simply a calling card — it’s a calling. My dad came to see me twice last month. Like every other time he has visited in the four years since his death, the next morning I awoke with a mix of thrill at visualizing him so clearly, and sadness knowing it was just a dream. It’s no surprise he showed up; I found out about that time I was to have a piece of mine published in The New York Times, his favorite paper. My father was a fabulous writer. His voice was strong, his prose fluid and conversational; but Dad directed most of his talent toward the academic realm. He wrote textbooks, research papers and journal articles. Even now when I flip through the pages, tapped out with two, furious index fingers because he never learned to type, I can see his love of the craft. Never boring or stilted, he managed to make psychological concepts and theories not just digestible for the average undergrad, but entertaining — no small feat. 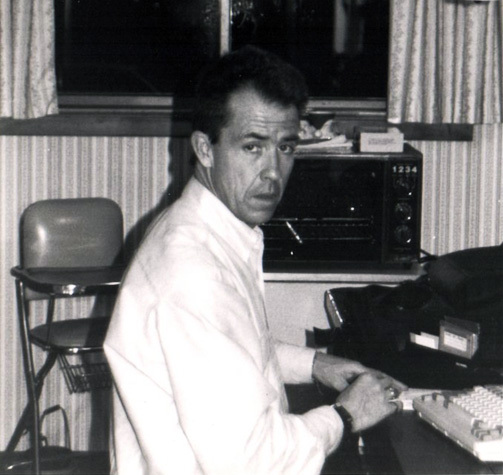 At the end of his life Dad began recording more of his personal history, too, but most of what he wrote can be found in a college library. He was also a voracious reader. A quick look at his nightstand would reveal his taste. Dad nearly always had three books going at once: an Elmore Leonard-ish crime novel, a current, political non-fiction, and a memoir. As I grew older and our tastes began to fall in line, it became more and more fun to compare notes on what we were reading and trade recommendations, but it was tough to keep up with him. Dad read fast and his appetite was huge. What never changed, however, was the daily copy of The New York Times, tucked under his arm, which accompanied my father everywhere he went. Whenever we traveled overseas (which was frequently), at any hotel his first request was always a copy of the Times. Dad consumed the world through that paper; he read it cover to cover. I know he had at least one Letter to the Editor published, which he considered a major accomplishment. We didn’t have everything in common and ours was a relationship that suffered its share of ups and downs, but when it came to writing, we were totally in sync. And mine made him proud. “My daughter the writer,” Dad said over the phone when my first piece was published in a widely circulated magazine. I could hear his smile. 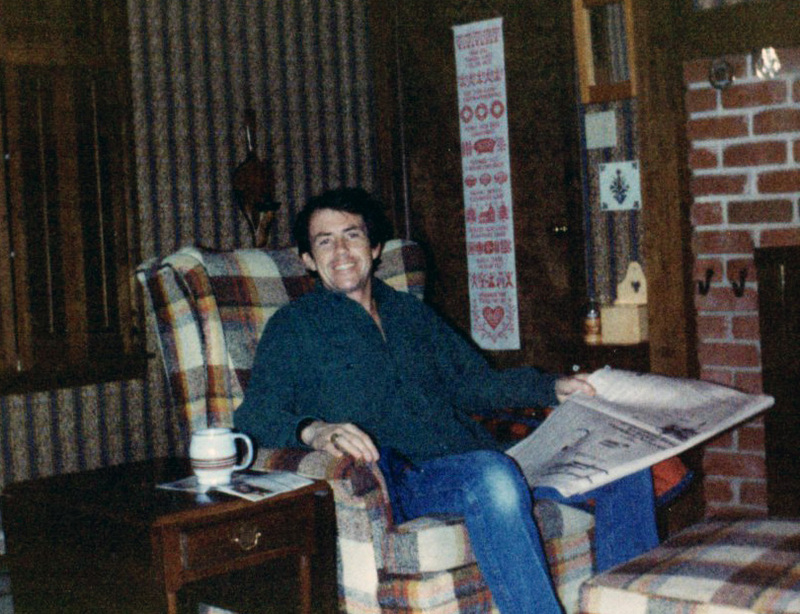 In other areas of my life, Dad’s reactions left me wanting. Like many fathers whose primary focus was work, I found it tough to hold his attention for long. My trust in him suffered after too many of my attempts to engage him fell flat, leaving me heartbroken, so I rarely approached him with tender or personal issues. Instead the bond we shared was a cerebral one: A love of all things pop culture and literary. When we talked books, movies or current events his eyes, which were one of the many features we shared in common, came alive. We discussed and debated, compared and contrasted, jabbed and joked. I felt important, smart and admired. Connected. Loved. Maybe his response about my piece, “After Cancer’s Calm, a Daughter’s Emotional Storm” would have left me deflated as he had in other areas of my life. I will never know. That is both the blessing and the curse of death: I can write the script. At once I can both mourn the loss of his praise, and protect myself by not risking the crushing blow of his ambivalence. Like so many others, this experience will be projected onto the screen of my heart, already crowded with images of disappointments and joys I have ached to share with my father since he died. Time passes, but love and longing never do. Neither does the desire to hear the one voice whose validation often carried the most weight in my life, good and bad. I miss you, Dad. I love you. Come back and see me any time. Each October I try to develop some, funny coping strategy to help get me through the month of reminders. Everywhere I look, all I see is pink, and though some women take great comfort and strength in this which is great, for me it tends to throw a spotlight on lots of injustices: the fact that I got this cancer to begin with; the fact that so little of the money collected goes toward stage IV disease research; and that there are many cancers, more rare than mine, which get no funding as a result of sales boosts from a little piece of colored fabric. One year I tried pulling out breast cancer “gifts” — little things that made my situation any more palatable. I truly enjoyed it. Then Last year, I casually started taking photos with my phone of items featuring pink ribbons in stores that I thought were hysterically inappropriate. I asked friends to click and send their own images to me via my Facebook page, and they obliged with amazing contributions. In fact they were so great that this year I decided to do it again. Okay, so, let me break this one down here. Actually, it’s not so far of a stretch since: A) My tissue expanders felt like two hard, apples on my chest. 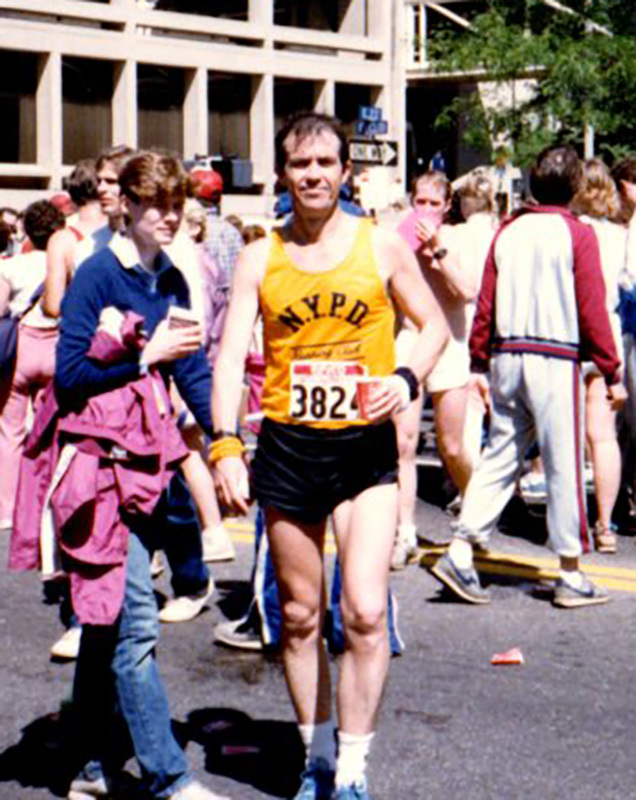 (Ask anyone who hugged me during that time to attest to that – they may still have bruises.) B) If I had been allowed, I’d have had at least a six pack of these every single night during treatment to escape. C) I did have quite a few drinks AFTER treatment was over to celebrate. However, it does sort of make me laugh that two of the things that all oncologists agree you should avoid following a BC diagnosis – booze and sugar! Methinks this beverage has both in abundance. Nothing says a cold, hard and refreshing escape like breast cancer! KFC. I’ll skip the obvious “chicken breast” reference since it’s far too easy and go right for the jugular on this one. I think it’s totally appropriate that they are pink for October. What better than a bucket of sh!t to represent Breast Cancer since, during treatment, that’s precisely how I felt. 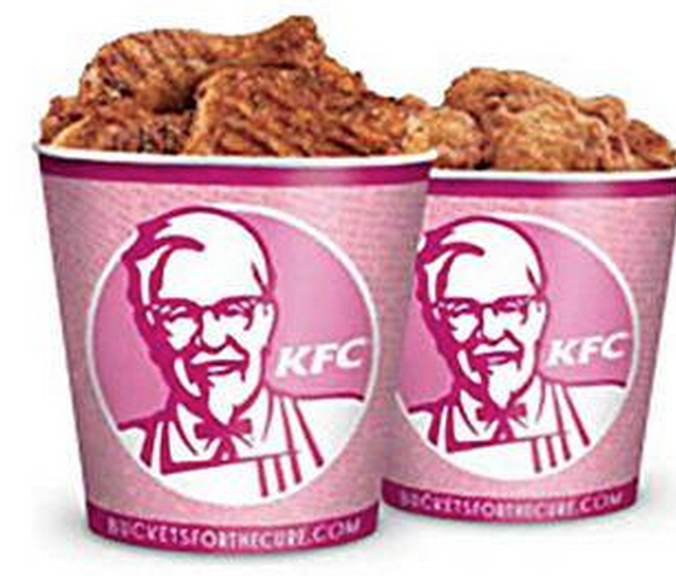 Nothing says Finger Lickin’ Good like breast cancer! I do think the trash can may be my fave. Only because I like it when everyone sees the sense of irony in a situation. You know, like how I felt like garbage, blah, blah, blah. It says to me that these folks MUST understand that humor in BC. I think anyone who has come in contact with me knows laughter is an essential piece of my life, but I do recognize that my sense of levity doesn’t necessarily match up with everyone else’s. This pic, though? It does. ‘Cause god knows I would trash this cancer crap. For EVERYONE. 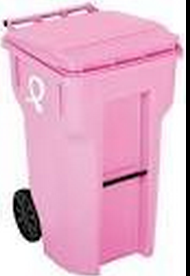 Plus, you know I had radiation, so I assume they incinerated those nasty little cells like they do with some of the trash I put in a container just like this one. 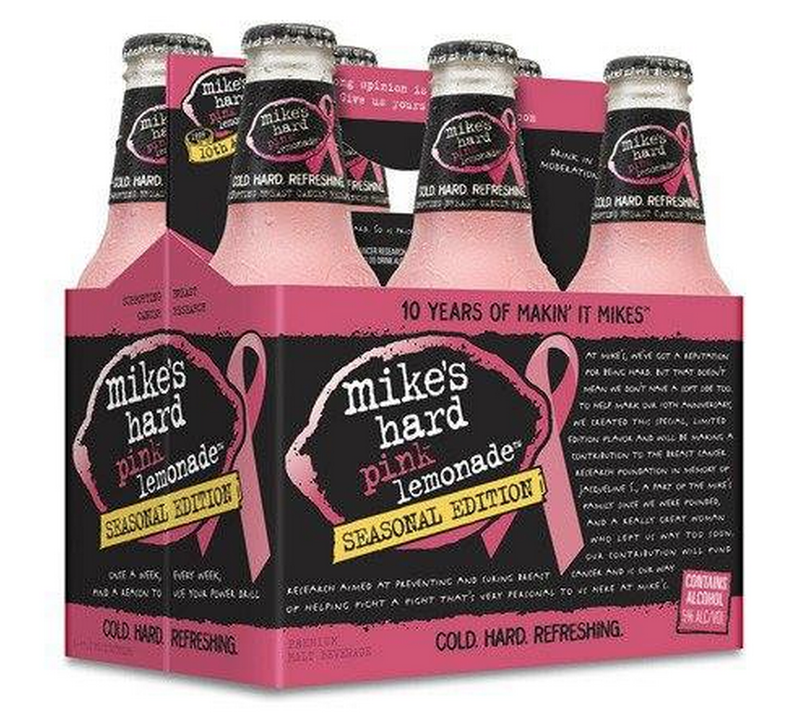 Nothing says “I’ve got great cans” like breast cancer! For my twentieth wedding anniversary, I got a beautiful diamond solitaire. It stands high and proud, cradled in its six prongs, throwing sparkles in every direction from the light bouncing off its the facets. The only problem with it? It’s attached to my finger, which means people who look at it might follow the trail to my god-awful nail. I have been a nail biter and cuticle picker, on and off, my entire life. Though I’ve gotten better (I no longer gnaw them down to the quick) each finger from my third knuckle up has paid the price for everything from my fear and anxiety to those pesky, extra-long stoplights. I came by the habit honestly; my father was a chronic nail biter, too. Maybe it was because or in spite of this that both of my parents employed multiple tactics to try and get me to stop. “Betsy, get your fingers out of your mouth,” was the soundtrack of my youth. As an adult I’ve tried just about everything: Acrylic nails; it felt claustrophobic. Bitter nail polish; it washed away. I tried wearing gloves; I took them off. I tried will power; I clearly have none. I hate the habit. It embarrasses me on multiple levels. When I look at other women and see their luxurious, French manicures I’m envious not just for their nails, but for what I consider to be their obvious deflated stress level in comparison to mine. I feel weak; like I can’t handle my life, and that I have no choice but to take it out on my digits. In a society where a mani-pedi is the ultimate in luxury and self-indulgence, I regularly have to turn down invitations from friends. Not because I don’t want to pamper myself, but because the idea of walking into a salon and having to show my jacked-up hands and feet to some poor, innocent professional would be beyond cruel. For both of us. The worst part about my worst habit is how obvious it is. You use your hands to do so much that I find myself tucking my fingers under, wearing large bracelets to shift attention toward my wrists, and usually picking clothing with pockets, just to stuff my gnarled fingertips into so others can’t see them. Sometimes, though, there is no matter of disguise that will work and I can see the side-glances. Mortifying. It’s not as if I don’t have things to stress over: Three kids, three dogs, my husband, my father and myself all diagnosed with cancer within a three-year span. A little nail-chewing is certainly legit. Still, I can’t quite forgive myself when I get all dolled up for a charity event, but the glam stops where the rings begin. Once in awhile I will spot celebrities with the same, obvious affliction (Britney Spears and Tom Cruise are among them), and for some reason I feel better. At this point I am resigned to the fact that the habit, like my stress and anxiety, ebbs and flows. I’m not sure how to “cure” it, but if Tom Cruise is truly a member of the club and Scientology didn’t help him, I think I’m doomed. I wish I could say that my ultimate goal would be to forgive myself for my “short”comings, but ultimately I’d really just love to have so little anxiety that I’d be able to apply regular nail polish without embarrassment. For a long time. Maybe even in a salon. Author Jennifer Weiner tackles some common, yet tricky, issues in The Pressure to Look Good, her op-ed piece in The New York Times this week. In it she dissects the conflict surrounding the messages we send to young girls about embracing their own bodies and not caving to the pressures of perfection, while we ourselves continue to do just that. In her typically candid, humorous way, Weiner shines a light on an issue I have struggled with myself for years. In fact, it bothered me so much that this year I decided it was time to do something about it. My 2015 New Year’s resolution was to post pics of myself that were about moments; not how I looked IN those moments. To trust that there were enough collective shots of me looking good to make up for the ones where I didn’t, and begin focusing solely on capturing the event rather than stressing about whether I appear to have a double chin. (I totally don’t, by the way, it’s just a bad angle. I swear. No, seriously.) 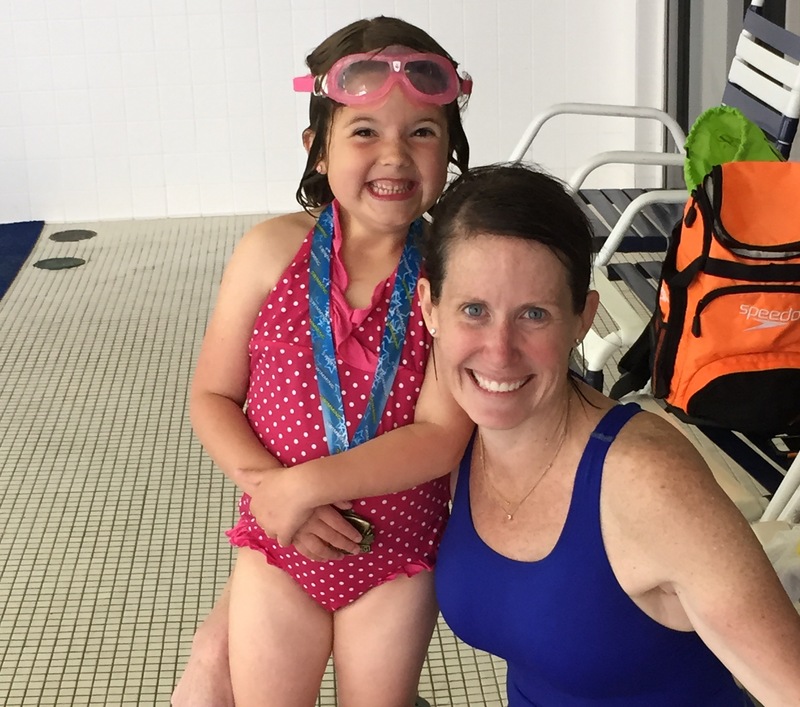 It has been a humbling, yet liberating road, culminating in a recent HuffPo piece I wrote about teaching swim lessons featuring a photo with me, makeup-less, in a swimsuit. Of course it didn’t hurt that I had such a sweet student next to me. With social media and online content as our main artery of information updates about our friends and the world, the pressure is high and the scrutiny intense to be on your “A” game constantly; but as is the case with so many areas in our life, I believe the best examples for our kids are ones of balance. By showing not only my daughter but also my sons that experiences with them trump my need to look good while documenting those experiences, my hope is that they will see that I take them more seriously than I take myself. I do still love getting glammed up (sans Spanx, I can’t stand those things) for a night on the town with their dad, and after nearly 25 years with him, both of us getting through cancer, and the fact that with three kids I even managed to get glammed in the first place, I think some vanity is in order. When I do, I shamelessly ask my 14-year-old-budding-photographer daughter to snap lots of pics so I can find one where I look as pretty as I feel, and then post away. As a mother it’s my job to teach my kids, like with many other things in life, that a little of everything is okay as long as it doesn’t get out of hand. Ms. Weiner’s children will see her unclip those extensions and take off those heels. And my guess is that when she does she will sit, criss-cross-applesauce, on the rug with her daughter making silly faces and playing games. That is what is important and that is what they will take away. In order to really empower them, what we owe our children is to teach them balance. That and the best lighting angles for selfies. Boys Will Be Boys, but Why Are They so Bad in Bathrooms? My husband and son have nightly pillow-talk sessions. My son always gets to pick the topic and, because he’s seven and his focus tends to change a lot, there’s no telling what will be discussed. I can hear bits of their talks from where I tend to sit in my bedroom and I can honestly say that eavesdropping on them is one of the highlights of my day. On this evening’s agenda was our impending move to Maryland. More specifically the house we will be renting, which we found on our recent trip to the Bethesda area over spring break. Though I couldn’t hear all of the conversation, I could make out one piece of it. It seems my son was concerned about the cleanliness of the new house, specifically the bathrooms. He had a point. When we toured the place, it was obvious the current tenant must have had more, ahem, pressing matters than tending to household chores, but nothing a little elbow grease couldn’t handle. What I couldn’t figure out was why my son was even a tiny bit concerned about it. Now it might be understandable if he were a bit of a clean freak, but though my youngest has lots of qualities about him to love, keeping a sparkly bathroom isn’t one of them. I mean one shift of brushing teeth in the morning and the top of the vanity looks like a Crest-fueled Jackson Pollock painting. 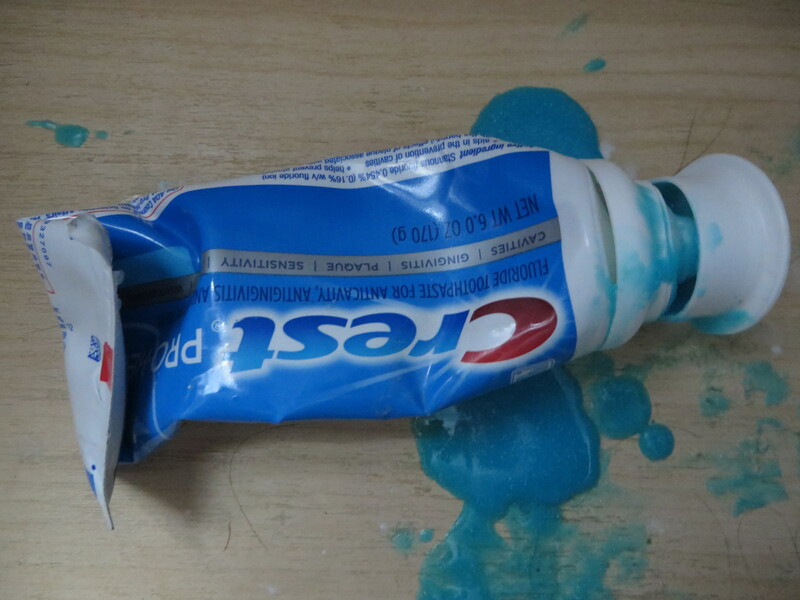 One time I actually found toothpaste on the underside of the toilet bowl. The idea that a finger touched a toilet and a toothbrush in such rapid succession, well, I just can’t even go there. And speaking of toilets, please, is there some magical way for boys to get all of what is coming out of them in the bowl? At the age of three my middle son could throw a grape from across the dining table and knock over my daughter’s cup of milk. Yet he still, at age ten, seems to have trouble aiming one simple, tiny stream of liquid into a very large body of water by comparison. When exactly does this skill kick in? Because at this rate I’m ready to purchase stock in Clorox. Or yellow grout. Both of my boys seemed to have developed their own clever method of dealing with their poor aim issue: Just wash the floor with the water from the shower. How do they do this? Simple. Always, always forget to be sure the curtain liner is inside the tub while the shower is on . Within about three minutes after turning on the knob, the floor is completely soaked. Not long after that the dogs are marching down the hall and into the bathroom for their own special version of Slip-n-Slide. Once the shower turns off, I hear the dreaded “whoa!” and know it’s time to grab the stack of rags reserved for just this occasion unless, of course, I happen to be out of earshot. If so I’ll usually come in to find a boy using one of the brand new bath towels to sop up water and muddy paw prints from around the base of the toilet. In which case I tell him to be sure to get the glob of toothpaste on the bottom of the bowl. Sometimes the floor is magically dry, the vanity remains a blank canvas, and my boys each pitch a no-hitter into the toilet, but they still can’t seem to leave the bathroom without making their mark on it. So they use a time-honored tradition passed down for generations that has irritated mothers and kept otherwise perfectly clean bathrooms from ever staying that way: They leave me a “laundry love letter”. A dirty sock, a pair of pants in a pile on the floor next to the shower (underwear still in them of course), or a used hand towel on the top of the toilet tank just for me. Just a little something to let me know they were there and not thinking of me. And I, in turn respond the way many a mother has before me: With an eye roll you, too. So far our household has been very lucky. The boys have shared their own bathroom and my daughter has had one to herself; but in the next house, all three kids will need to use the same facilities. Unlike her brothers, my girl is known for keeping a sparkly bathroom. I’ll hold out hope that maybe some of my daughter’s cleanliness will rub off onto her brothers. But my guess is that I should probably be bracing myself for the day when some of her brother’s toothpaste rubs off onto one of her favorite pieces of clothing. Oh well, as long as it stays off the toilet I’ll consider it a step in the right direction.